1. Replacement of an electric hot water heater in a residence with a Natural Gas hot water heater – $150.00 rebate. 2. Installation of a Natural Gas hot water heater in a new home – $150.00 rebate. 3. Replacement of an electric range/over in a residence with a new Natural Gas range/over – $50.00 rebate. 5. Replacement of an electric dryer in a residence with a Natural Gas dryer – $100.00 rebate. 6. Installation of a Natural Gas dryer in a new home – $150.00 rebate. 7. 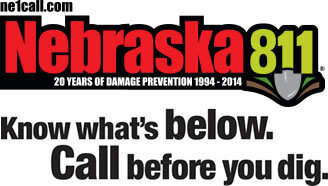 Provide a copy of your receipt and Nebraska City Utilities will inspect installation at no cost. 8. A credit for the rebate will show on your next Billing Statement. lf you have any questions, please contact Nebraska City Utilities at (402) 873-3353.